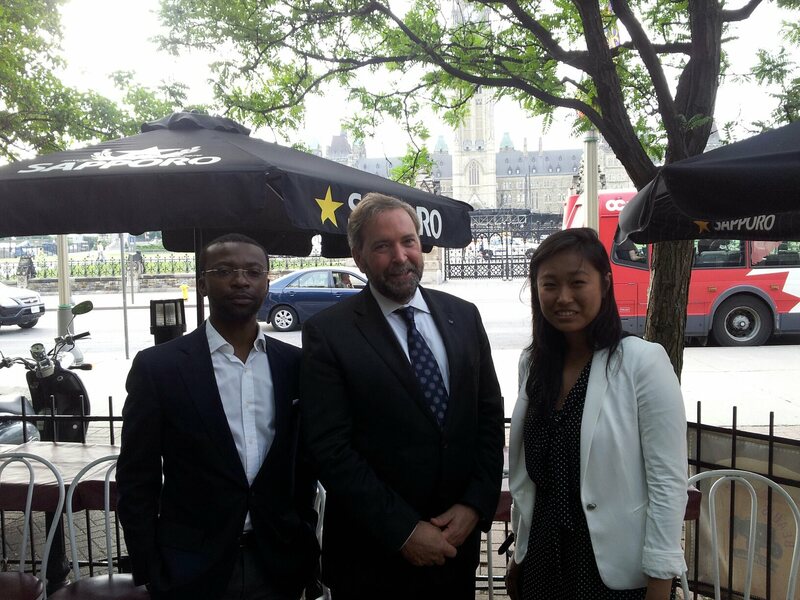 Last week, a boardmember of the organization I work for came into the office and asked me and my colleague if we wanted to go to an event being hosted by my Member of Parliament to meet the leader of the New Democratic Party of Canada (the official opposition), Thomas Mulcair. We both said ‘yes!’ but then found out he only had one ticket for the special event (he could no longer attend the event he had the ticket for). I eventually won the heads or tails contest and so the ticket was mine. I was a bit reluctant to go this event since I’d have to go alone to this exclusive event (tickets were a bit pricey) and I don’t particularly enjoy schmoozing (does anyone?). But my colleague reminded me that this would be a great opportunity to do some unofficial lobbying for Tibet (and he eventually even bought a ticket to come along as well!). As always seems to happen to me, I had an amazing time at this event which I was initially a bit intimated to attend. 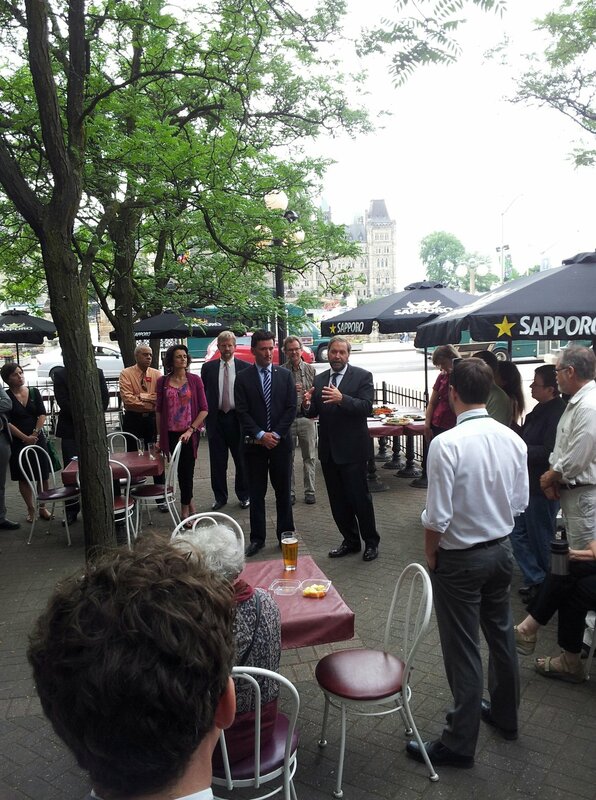 The event on Monday was small and intimate so I actually got to meet Thomas Mulcair, who the NDP deem ‘the next Prime Minister’. I introduced myself and thanked him for his party’s strong vocal support for Tibet. He said he thought I was Tibetan and said he was happy to help. He even went on to say that Tibet was a very popular topic in his household, interesting to note, especially if he does become Prime Minister in the next elections. Just when I thought I had finished my unofficial lobbying for Tibet, my MP actually came up to me, and said he wanted to say ‘hello’ before I left. Although we had met a few times through my work with Students for a Free Tibet, I was so surprised he had remembered me and so many of the details of our past meeetings. We had a nice long chat about his recent meeting His Holiness the Dalai Lama, Tibet Lobby Day, the Tibetan community, Dhondup Wangchen and Lhamo Tso, as well as some upcoming plans he had for legislation related to issues concerning Tibet. Anyway, to make sure I did something for Tibet for Lhakar, I emailed him today asking him to sign the Stand Up for Tibet pledge. I’ll pledge to follow up and try my best to get him to sign the pledge, but whatever the outcome, I’m definitely coming to appreciate my recent move back to the nation’s political hub where you can seemingly easily rub shoulders with the country’s top political leaders… for Tibet of course. It’s always fascinating to witness this generation of Tibetans prophesing their obsession for a Free Tibet.